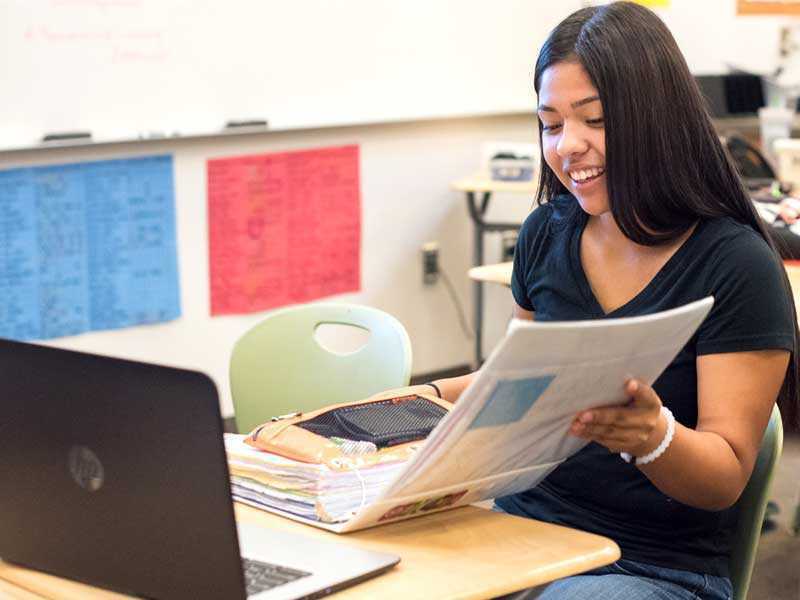 If a Lindsay High School Learner decides to demonstrate advanced knowledge of a learning objective, they can choose from a variety of options to do so. Learners are able to show advanced knowledge through mastering more complex content, applying their current knowledge in a complex task, or teaching the content to others as a learner coach. With the first two options, Learners are often able to select their own content or create their own tasks. For example, Learners in class created their own advanced knowledge task, picking characters from Romeo and Juliet and writing a reflection about what that character thought about their role.